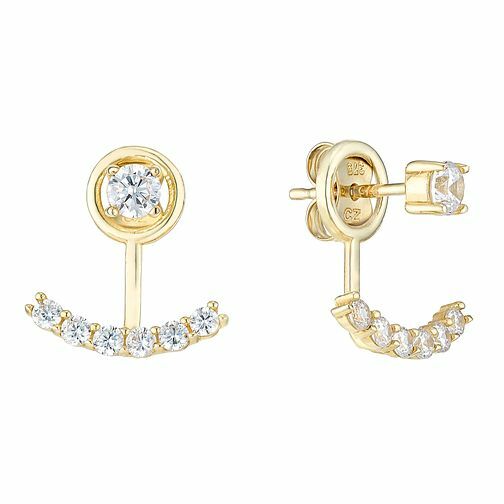 These mesmerising earrings are made from 9ct Yellow Gold and set with cubic zirconia. For added versatility, these dazzling earrings also include a pair of contemporary earring jackets for a touch of glamour. This season's on trend look.